The right DJ can create the experience you envision for your reception and leave your guests talking about it for years to come. However, the wrong DJ can leave you asking yourself if you made the right choice in who you hired. We at Frankie Carll Productions have been in the business ourselves for over 30 years, and would like to think we know a thing or two when it comes to booking a DJ. Here are ten things to keep in mind when it comes to your all-important choice of choosing a DJ. Use Review Sites: Like any business, their previous clients will provide you with the best possible information about the products they offer. We can all agree there is a considerable difference between a restaurant with 3-stars and one with 5-stars. The same is true with DJ’s. The best companies will have multiple 5-star reviews stating the quality of the service. Do/Do Not Plays: Your guests will be unpredictable. Though you may think Aunt Susan would never request the latest Hip-Hop song, the electric slide, etc…do not leave it up to chance. If there is a genre or specific song you do not want played, let your DJ know. On the flip side, give your DJ songs you do want played so your favorites play during the night. Keep in mind requesting too many songs eliminates the DJ’s creativity and ability to get your party moving. Your DJ and Your Seating Chart: This may come as a surprise, but this is something professional DJ’s are conscious of. Your DJ needs room to set up his equipment, and does not want to set it up close to any tables so he can avoid creating a negative guest experience. Be sure to seat people who you know will be dancing close to the DJ. That way your family members are not subjected to loud music throughout the night when they are not on the dance floor. Do They Regularly Do Weddings? : There is a major difference between DJing a club and a wedding. Make sure your DJ has conducted enough weddings to know the timeline of events that occur that day and are not learning as they go. Check His Attention to Detail: One of the most important tips we have to offer. Make sure your DJ goes over your big day with you prior to the event. From first dance, to traditions, to introductions, there is a laundry list of information you and your DJ need to be on the same page with. 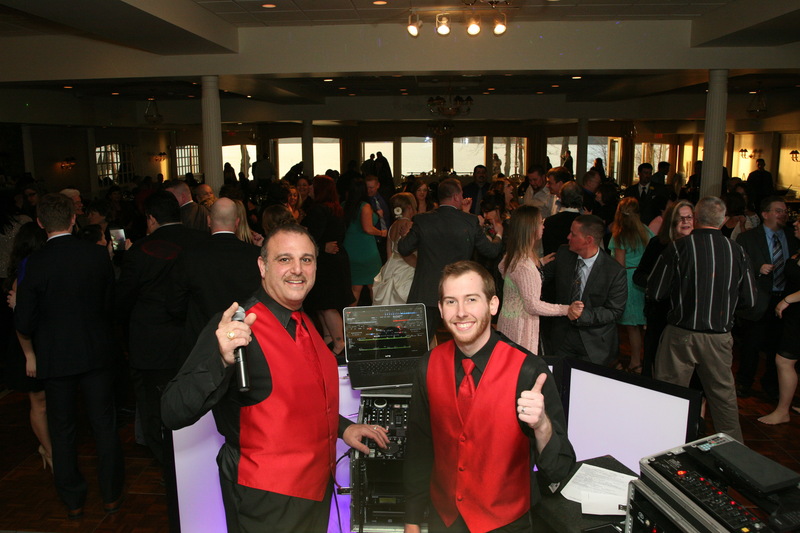 An experienced DJ knows what he has to go over with you, and will help ease your stress about this process. Establish a Set-Up Time: Over the years we have seen DJ’s still setting up a minute before the reception is set to begin! 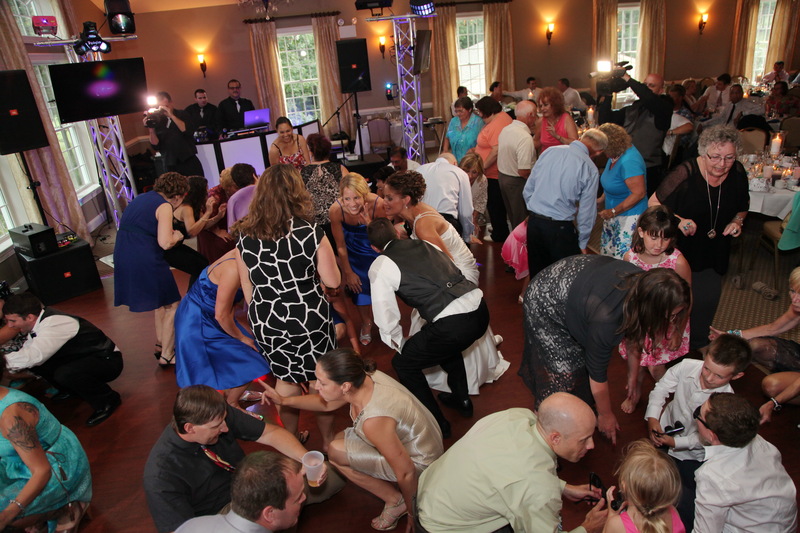 Stress a set up time with your DJ in order to avoid a bad first impression with your guests. Do They Have Back-Ups? : Imagine the day before your wedding your DJ gets sick, has car trouble, and cannot make your event. There is not much you can do the day before your wedding. Remember to ask if the company you choose has a back-up on your wedding day and if they have back-up equipment. Should a speaker blow out on a DJ, it is imperative they have another ready to go. Recommended By Venue: A venue that recommends a DJ means that he is worth his weight in gold. This is someone your venue trusts and knows will make your big day perfect. Venues want you to be happy and want you to hire someone who knows how the job is supposed to be done. 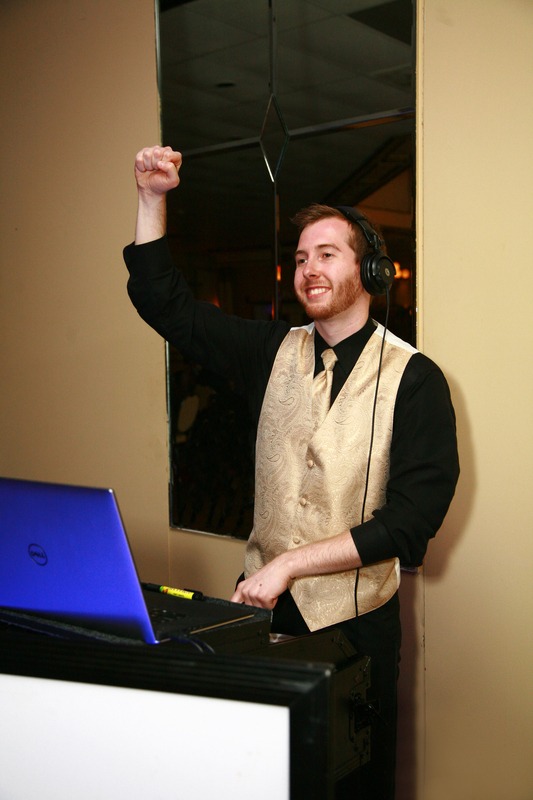 Make Sure They Dress Appropriately: A wedding is a formal affair and your DJ should match the crowd. A Tuxedo is the preferred attire for your entertainment. If they show up in a Polo shirt and slacks, they will look out of place. Tell Them Your Style: A DJ is able to match your party. They can be a laid-back mixing machine, an MC with some interaction, or on the floor dancing and encouraging your guests to party all night. Let them know ahead of time if outgoing behavior is preferred, minimal interaction, or somewhere in-between. The DJ will respect your wishes and we’ll all avoid the cliché loud and obnoxious DJ. Other questions you may want to ask your DJ include the following. Do they have a laptop for mixing music instead of an MP3 player? Are they able to play your ceremony? Do they have appropriate equipment to be self-efficient including power cords, tables, company owner equipment, etc…? Our answer is yes. These are just a few helpful pointers to get you started on your journey of hiring a wedding DJ. It is important to know what your DJ is capable of, and what you can expect them to ask you in order to provide the best service possible. 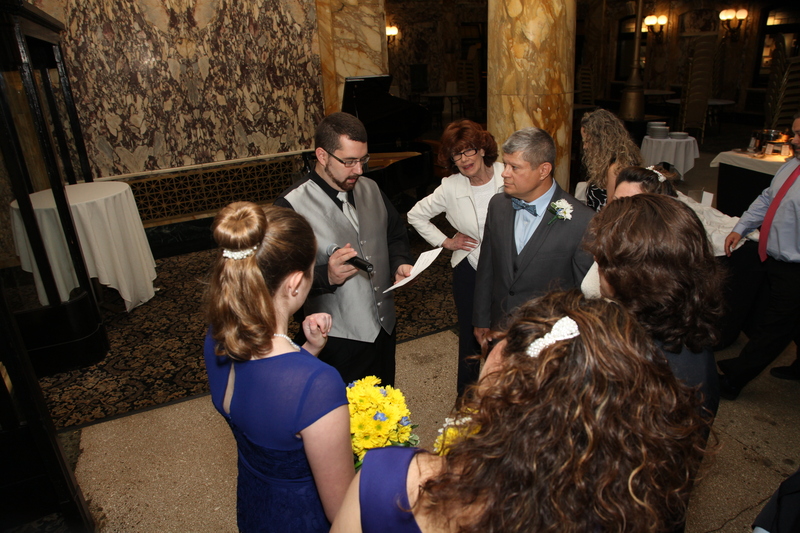 At Frankie Carll Productions we have been a part of thousands of weddings just like the one you are planning. 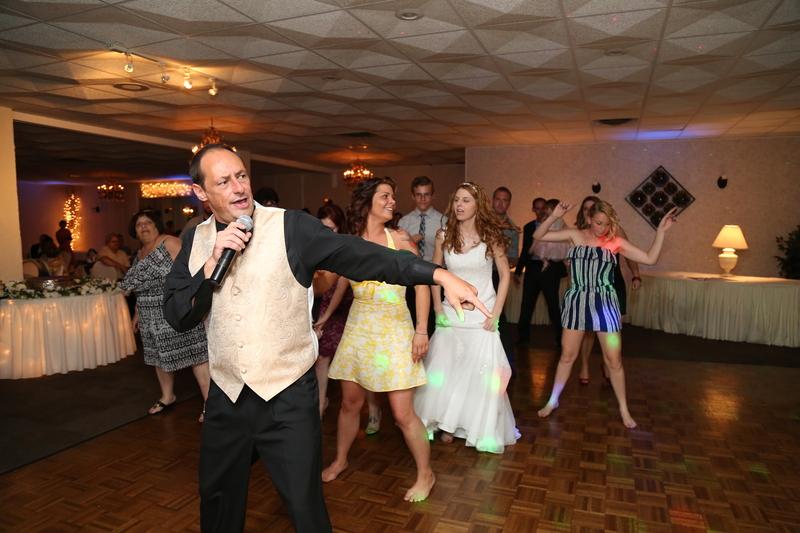 Our DJ’s are trained to read your crowd and get the party moving, leaving you with a night you’ll never forget!